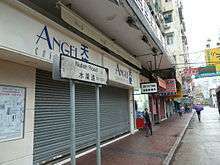 Hong Kong English (Chinese: 香港英文) is the dialect of the English language used in Hong Kong. The dialect is a result of Hong Kong's British oversea territory history and the influence of native Cantonese speakers. Hong Kong predominantly uses British spellings. Pronunciations and words are also predominantly British, although influences from American, Canadian and Australian English do exist as a result of western TV and internet culture. Cantonese English, in theory, refers to the accent and characteristics of English spoken by native Hong Kongers and other Cantonese people. Overall, it is primarily spoken by native Hong Kong language(Cantonese) speakers. Therefore, although it is called Hong Kong English, it is not only spoken in Hong Kong. People such as who come from Macau, Canton (now commonly known as Guangzhou) or those whose first language is Cantonese speaking it. Since many of the 'characteristics' in Hong Kong English are perceived as erroneous, the term is often used by locals as a disparagement rather than to describe a linguistic identity. The majority of Hong Kongers and Macau people with English proficiency tend to follow British English, American English or a mixture of the two. 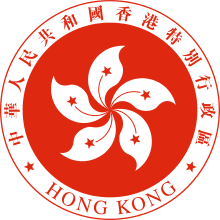 English is one of the official languages in Hong Kong, and is used widely in the Government, academic circles, business and the courts. All road and government signs are bilingual and English is as equally valid as Chinese on legal and business standings. People with higher education, past experience of living in English-speaking countries, or who constantly interact with Hong Kong's English-speaking expatriate communities, generally speak an acquired form of English. Accent and spelling preference may vary from person to person, depending on the people they have interacted with and the country they have studied in. For most ordinary local Hong Kongers however, the English spoken is generally typical of foreign language learners: Cantonese-influenced pronunciation with some acquired Received Pronunciation characteristics, and with vocabularies and sentence structure generally more formal than those of native speakers. For instance, contractions and slang are not used, and many idioms are alien to Hongkongers as they do not pertain to English-speaking countries' cultures. The falling English proficiency of local English teachers has come under criticism. English in Hong Kong remains primarily a second language, in contrast to Singapore where English has been shifting toward being a first language. Consonants in Cantonese are all voiceless except nasals and semivowels; as a result, /d/, /z/, and /dʒ/ are pronounced [t] (unaspirated), [s], and [tʃ] (unaspirated). There is a tendency for /θ/ to undergo fronting and become /f/, so through may be pronounced as /f(ɹ)u/, and three may be /f(ɹ)i/. However, this is variable, so some speakers pronounce thin as /θɪn/ while others pronounce it as /fin/. /ð/ tends to become unaspirated /t/, so though is /tou/ and there is /tɛ/. This is reported to be very widespread, so this is nearly always /tis/, and brother is /ˈb(ɹ)ata/. Most people do not distinguish between voiced and voiceless word-final stops, making bat and bad homonyms. Some do not distinguish /ʃ/ and /s/; in Cantonese these sounds are allophonic. This new condition does not appear on nearly all the younger, or even the middle-aged Hongkongers. Corruption of /tr/ to /tʃ/ often occurs, chain and train are pronounced both /t͡sʰe̝ŋ/, but some speakers pronounce the word train as [t͡sʰwe̝ŋ]. Like many places in Britain and the US, Hong Kong English is non-rhotic, which means /ɹ/ is not pronounced except before a vowel. However, with the influence of American programmes shown in TV, young people in Hong Kong have started to pronounce the /ɹ/ sound as in General American English. Some people pronounce /ɹ/ as /w/, except when followed by a consonant other than g or k; rain sounds like wing, and free like fee. Some people pronounce /ɹ/ as /l/ before rounded vowels ; road sounds like low, room like loom etc. "Wh" is pronounced as /w/, as in English English and most American dialects (not /hw/ as in Scottish English and some American dialects). Other /v/ becomes /w/ or /f/ mostly with a consensus yet no obvious pattern (e.g. /f/ in "favour", second /v/ in "Volvo" and either /f/ or /w/ in "develop", depending on the speaker). Nasals in English are stronger than in Cantonese. l-vocalisation is common: final "dark" l, */ɫ/, is often realized as [u̯], as in Polish, Russian and Brazilian Portuguese, e.g. "bell" becomes /pɛu̯/, and "milk" becomes /miu̯k/. This /u̯/ is sometimes strengthened and becomes like /ou̯/ (e.g. sale becomes /ˈsei̯.ou̯/). /dʒ/ is commonly pronounced as /t͡s/. It is less noticeable as there is no contrast in the initial position between /ts/ and /tʃ/ in both Cantonese and English. Many people also merge the sound /dr/ with /dʒ/, they pronounce both /t͡s/. A speaker of Hong Kong English differentiates the pronunciations of the words affect and effect, often emphasising the vowel, pronouncing affect as /aˈfɛk̚/ and effect as /iˈfɛk̚/ (or even /jiˈfɛk̚/). Most people realize /ər/ as /a/; "letter" is pronounced /ˈlɛta/, "locker" is pronounced /ˈlɔkʰa/ etc. The sound /ɜr/ is realized as /œ/; "sir" is pronounced /sœ/, "hurt" is pronounced /hœt̚/ etc. Merging /æ/ with /ɛ/; "man" and "men", "mass" and "mess", "guess" and "gas" are pronounced as the same way (with the [ɛ] sound). Confusing /ɪ/ with /iː/; "seat" and "sit" are pronounced both /sit̚/. In contrast, big is pronounced as /pɪk̚/. This is because in Cantonese, the checked tones t̚ k̚ p̚ have only one vowel assigned to them that is approximate to i or ɪ (it̚, ɪk̚, and ip̚) . Merging /ʊ/ with /uː/; "foot" and "food" are pronounced both /fut̚/. The letter "z" is generally pronounced /jiˈsɛt̚/, /iˈsɛt̚/, /iˈzɛt̚/ or /jiˈzɛt̚/ derived from a British pronunciation /ɪˈzæd/ now considered archaic elsewhere; the usual pronunciations, /zɛd/ (used in UK and most of the Commonwealth nations) and /ziː/ (used in USA), are not understood by some. Omission of entire "r-" syllables in longer words; "difference" becomes /ˈtifɐns/, and "temperature" becomes /ˈtʰɛmpʰit͡sʰœ/, "friends" becomes /ˈfɛns(i)/. Due to Cantonese phonology, many Hong Kongers have difficulty pronouncing double consonant endings, except when the second element is fricative. e.g. "think" as "thing", "slamp" as "slem", "white" as "why", "send" and "sent" as "sen". "Sense" is unaffected. Finals like /-kt/ are reduced to /-k̚/. Exaggeration of certain final consonants, for example /s/ to /si˩/ and /d/ sounds of the past-tense form of verbs to /tət̚˩/). Omitting articles like "the" and "a". Contractions such as "aren't" are almost never used, even in conversations, as English in Hong Kong is used largely for formal writing. Confusion with verb tenses and agreement of singular or plural nouns, as they have no direct equivalents in Chinese grammar (Mandarin and Cantonese). Or because that verb tenses are expressed using a preposition or exclamation words at the end of the sentence. Use of prepositions: "on", "in" and "at" are often interchangeable. Prepositions are also sometimes omitted after transitive verbs. For example: "I will wait you at my flat," instead of "I will wait for you at my flat." Over the phone, "This is [John]" becomes "I am [John]", a direct translation. Yes/No confusion: In Cantonese, "yes" represents an agreement, "no" represents a disagreement, whilst in English "yes" represents a positive answer, "no" represents a negative answer. For example: "She isn't pretty, is she?" might attract the answer "No" when the native Cantonese speaker means "I disagree, in my opinion she is pretty". "There is/are" becomes "there has/have", a direct translation. Plural forms: there are no plural forms in Chinese, so plural and singular forms tend to be confused. The exclamation "Congratulation!" is often heard during expressions of joy for one's achievements. "Actually" (also "In fact") is used much more frequently in Hong Kong English than in standard English. The Cantonese equivalent, 其實 ("keih sat"), is used more frequently than "actually" is used in standard English. Using "lend" and "borrow" interchangeably. e.g. "I will borrow you my car" (real meaning: "I will lend you my car"). In Chinese, the word 借 is commonly used for both meanings. Using "rent" and "let" interchangeably. Using -ed and -ing interchangeably, e.g. "bored" and "boring". e.g. "I am so boring!" (real meaning: "I am so bored!"). In Chinese, the word 無聊 is commonly used for both meanings. Using "win" instead of "beat". e.g. "I win you in the race!" (real meaning: "I beat you in the race!"). In Chinese, the word 贏 is commonly used for both meanings. Using "hear" instead of "listen". e.g. "I hear the radio" (real meaning: "I listen to the radio"). In Chinese, the word 聽 is commonly used for both meanings. 10,000: Numbers larger than ten thousand. In Chinese, 10 thousand is read as one myriad (萬), 100 thousand as 10 myriad, one million as 100 myriad. Even so, most people will not use the English word "myriad" so this type of English is hardly ever seen. Fractions: In Chinese, the denominator is read before the numerator, so "three over four" (or three fourth) may wrongly be taken as "four over three". In this example, three-fourths in Chinese is "四分之三", literally "out of four portions, three". Discounts: the Chinese way of saying 10% off is "90% of the original price". This is often written as 9折 (or 九折) which is understood to mean "discounted to 9/10 of the original price". When two digits are given the divisor is understood to be 100, e.g. 75折 (or 七五折) means 25% off. 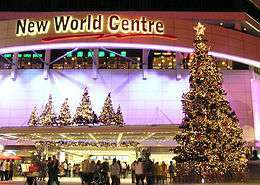 This is the entrance of the shopping centre "New World Centre" in Hong Kong. Note the spelling of the word "Centre" (instead of the American English "Center") and also that it does not say "Mall", as in the US. When referring to the same thing, British vocabulary is more commonly used, for example: bin instead of garbage can; lift instead of elevator. end-word: In informal conversation like instant messengers, sentence-final particles or interjections of Cantonese origin such as ah, lah, law, mah and waw'—many of these being “flavouring particles”—are used at the ends of English sentences. Some words and phrases widely understood in Hong Kong are rare or unheard of elsewhere. These often derive from Chinese, Anglo-Indian or Portuguese/Macanese. A Tai-Pan (or 'taipan') is a term used in the early 20th century for a business executive of a large corporation. An amah is a term used in the early 20th century for a live-in servant (from Macanese/Portuguese- ama nurse); now supplanted by "[domestic] helper"
The word 'seldom' is used instead of 'rarely' in informal English – the word seldom is considered formal in English speaking countries. A raffle is invariably referred to as a 'lucky draw'. The word 'cheap' means value for money in formal English. In Hong Kong English, the word 'cheap' has a derogatory connotation, meaning something is of low quality and distasteful. Recent academic work is also being done on the generation of new Hong Kong English vocabulary driven by computer mediated communication between bilingual Cantonese and English speakers. Rather than use complicated Chinese character keyboard interfaces, Hong Kong English speakers will text and email English translations to the prevalence that the English word often gains independent usage. 'Add Oil': [add oil!] verb, literally to lubricate, is used more as an idiom to encourage a team or person. The term has long been limited to the Chinese " jia you!" (加油), after originating as a cheer at the Macau Grand Prix in the 60s, but Hong Kong English speakers are increasingly using the English transliteration. 'Locust': [lo-cust] noun, referring to tourists from the mainland and meant to connote both masses and a drain on local resources. The word is derogatory and originated during shortages of powdered milk, which anti-parallel trading protesters blamed on mainland parallel traders. Using "open" instead of "turn on" and "close" instead of "turn off" for electronics such as televisions and fans. This is because "open" and "turn on" both use the same character ("開") in Cantonese; "close" and "turn off" also use the same character ("關"). ↑ Glenwright, Phil (July 1, 2005). "Grammar Error Strike Hard: Language Proficiency Testing of Hong Kong Teachers and the Four "Noes"". Journal of Language Identity and Education. 4: 201–226. ISSN 1534-8458. Retrieved 2008-09-04. ↑ Setter, J., Wong., C. S. P., & Chan, B. H. S. (2010). Hong Kong English. Edinburgh: Edinburgh University Press. ↑ Deterding, D., Wong J., & Kirkpatrick, A. (2008). The pronunciation of Hong Kong English. English World-Wide, 29, 148–149. ↑ Hong, T. N. (2002). Towards a phonology of Hong Kong English. In K. Bolton (Ed. ), Hong Kong English: Autonomy and creativity (pp. 119–140). Hong Kong: Hong Kong University Press. ↑ Lam, Lana; Lee, Danny. "Playwright pens tale of Hong Kong and its expat 'filth'". South China Morning Post Website. SCMP. Retrieved 5 August 2014. Dictionary of Hong Kong English: Words from the Fragrant Harbor, a collection of unique local words and senses.